Over the summer we all get a little tired of barbecued chicken, this oven cooked tomato herb chicken makes a change and when served with a salad is still light and summery. 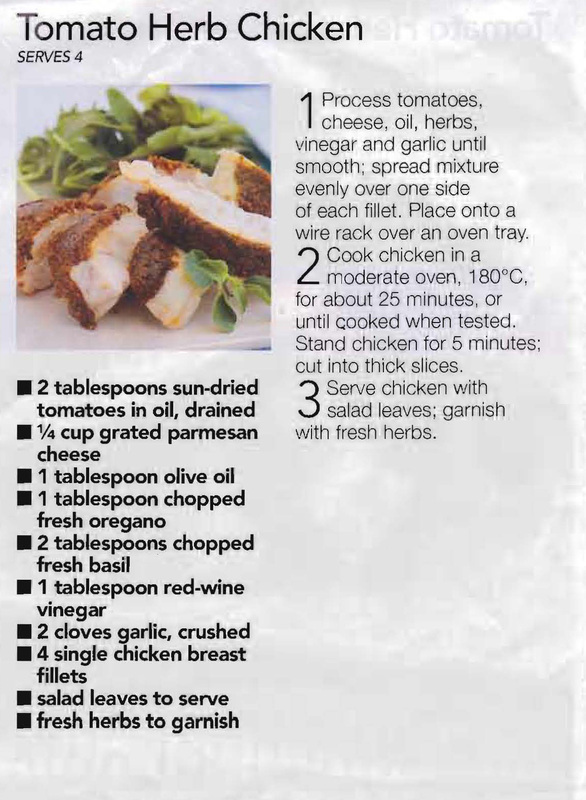 This entry was posted in Chicken, Main Dishes and tagged 1990s, basil, chicken breasts, oregano, parmesan cheese, red wine vinegar, sun-dried tomatoes, tomato herb chicken by bebsrecipes. Bookmark the permalink.